Why do you need to clean android devices memory? Some android users are not familiar with the issue of clear caches on their phones. But certain thing I noticed about so called android phones, every operation carried out are kept in a certain that occupy spaces on the phones memory or the memory card inserted. Your Android smartphone or for that matter any Android device can be cluttered quickly and may not provide the optimum performance you expected of it, especially if you are a power user. You might find out that your device has slowed down considerably compare to when you bought new, run out of storage space for your photos and music, or that you cannot even install any more useful apps, therefore clean android devices memory will surely the best option. Furthermore, if you are reading this article, it is because you have probably run into a lack of storage on your phone or your device is performing worse than you had expected. If you are looking for an app to clear caches on your smartphone, so be careful, the majorities do not deliver on their promise and, many times, the solution is in the Android system itself. So how to clean android devices memory, how to clear the other storage to release more space? Before looking for third-party apps, why not trying with the Android system itself? Sometimes, the easiest way may be the best way. Cache is basically a storage area where data or frequently used processes are saved for quicker access in the future. Many apps on our device are prone to download many images, text, flash, videos etc automatically. if do not clean them regularly, before long, they will take up large space on your device. So by doing a cleaning of app’s cache you can save much memory of your device and this will not do any harm or loss to your phone, thereby I recommend you clean android devices memory once in few months. Go to the Settings Menu ===> Click on Apps ===> Choose an app that is taking up a lot of space ===> Click the button Storage and Clear Caches. A screen will ask for confirmation to remove everything stored within the caches. Confirm and save to remove the content. If you are running Android 6.0 Marshmallow on your device, like my Huawei Android 6.0, simply click on Files and then Clean up. This will only clear your app’s cache, your app residual trash, unused apps packages will also be detected and, on the advanced management of storage, you can check all your data usage exhaustively, and select certain contents to clean up, this is so simple and that is fall for this method. Just like exactly what the name says, restoring your phone to factory settings takes you back to zero and resets your device’s settings to exactly how they were the day it came out of the box, what I am saying in excess is that, it take you back to the manufacturer set. There will not be any extra application on the phone except the inbuilt once, contacts, settings or any type of data, only what comes standard on Android. This feature is mostly used by people that like to install different ROMs on their device but it could also be very helpful to users who have an older phone. Doing this will give your device a breath of life, that is, clean android devices memory. I especially recommend it if you have had your device for more than a year and you have never formatted it. Additionally, it is important to backup your data before resetting your phone, so that you will have access to your data again. This method involves the use of third party apps to clean android devices memory. There are many apps that can do this job on your phone, just visit Google play store to download, install and begins to enjoy the app. Cleaner is the example we are using in this article. One tap powerful junk cleaner, RAM booster, device optimizer, battery saver and app manager to optimize Android devices. 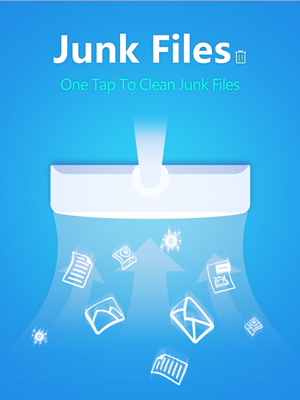 Cleaner is a lightest, fastest and handy junk cleaner & phone booster app featuring junk clean, ram boost, app manager, battery cooler, app lock and beautiful HD wallpaper. With this all-in-one powerful cleaner master, you can free up storage, speed up your phone and remove junks safely, clean app cache, browser history, download folders and more, uninstall unnecessary apps, lock apps, beautify your device and get your device running like new again.